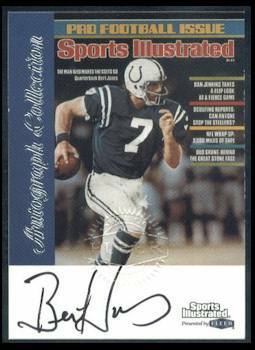 1999 Fleer Sports Illustrated certified autograph card of former Baltimore Colts star quarterback Bert Jones. Embossed by Fleer, with their certificate of authenticity on the back. ONLY ONE AVAILABLE FOR SALE.